Bitcoin is the most popular cryptocurrency but it is not the only one. There are so many other cryptocurrencies that work in a similar way. Over the past few years, crypto currencies have become very popular and people around the globe have started demanding to legalize it. It is worth to note that hundreds of new crypto currencies have already come on the market. All these work in the same way. If you have missed investing in Bitcoin, you can now invest in other alternatives that are still affordable. 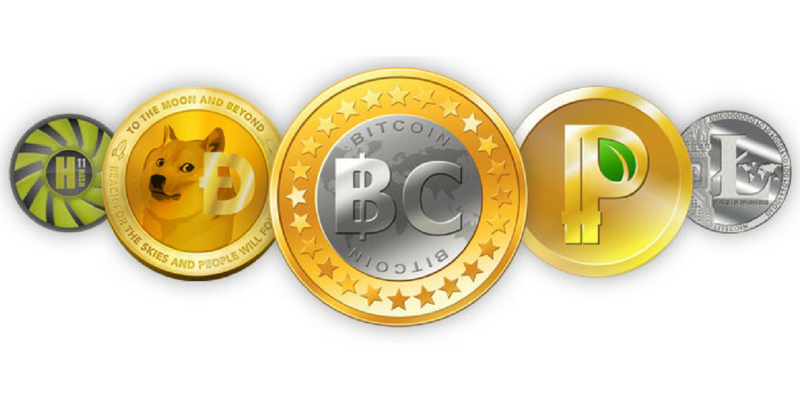 In this article, we are listing 7 Bitcoin alternative cryptocurrencies you can start using. These are now getting popularity and have potential to give you a good return. Ethereum is the most notable alternative to Bitcoin. Analysts have already predicted good future of this cryptocurrency. Unlike Bitcoin, it is an open-source, decentralized blockchain-based computing platform. It enables users to create a digital token and use it as currency. Here the digital token is called Ether. Litecoin is also one of the oldest crypto currencies. It was introduced back in October 2011. It is based on Bitcoin protocol, but it is designed to make sure that mining is cheaper. It uses different cryptography protocol called scrypt. It uses Segregated Witness and Lightning Network that reduced the block generation times to about 2.5 minutes. So, payments on Litecoin is about four times faster than Bitcoin. Litecoin protocol is also capable of handling higher transaction volume than Bitcoin. Peercoin came into existence in August 2012. It is also based on Bitcoin but the method of verifying mined coins differ. It relies on proof-of-stake system in place of proof-of-stake system. It is also an inflationary currency because it does not have any fixed upper limit of coins. The overall market-cap of Peercoin is over $50 million and is growing fast. Dash is also an open source privacy-centric digital currency. It allows you to keep your finances private and make instant transactions. It also uses a decentralized network and its advanced encryption keeps it secure. It uses a “2-tier architecture” to power its network. The first tier is for miners who secure the network and write transactions to the blockchain while the second tier is for masternodes which enable the advanced features of Dash. It uses X11 algorithm that is compatible with less powerful hardware. So, it allows more people to mine their own currency. This algorithm is also energy efficient and consumes about 30% less power than Scrypt. Faircoin also uses the blockchain technology of Bitcoin but it has a socially-constructive design. It uses certified validation nodes, or CDNs, to perform block generation. To verify all generated coins, it uses ‘proof-of-cooperation’ in place of proof-of-stake or proof-of-work It has market-cap of around $32 million. Dogecoin is also a similar kind of cryptocurrecy but with an interesting back story. It was introduced as a bit of a joke by combining Bitcoin and a viral internet meme called ‘Doge’. Like Litecoin, Dogecoin also uses Scrypt. With $197 million valuations and over 200 merchants worldwide, Dogecoin is also growing fast. Ripple was released in 2012. It is based on distributed open source protocol. It is also one of the popular cryptocurrencies and boasts to have $10 billion market cap. It claims to offer secure, instant and nearly free global financial transactions of any size with no chargebacks. Cryptocurrency are now very popular and the success of Bitcoin inspired the development of lots of other Cryptocurrencies. Now we have hundreds of Cryptocurrencies around the globe. I just added the name of seven but there are lot more good and worth to try. Steem, Safecoin, Namecoin, Primecoin and many more. So, you can start with anyone and try to learn how Cryptocurrency work. If you have any question, you can always leave a comment. What is Ethereum? How does it Work?